The Lion Cub Scout program is for the youngest members–those who are in kindergarten. Here, you’ll find the requirements for the five required adventures and the seven elective adventures. Cub Scouting is all about adventure! To earn their rank badge, Lion Cub Scouts complete five “adventures,” which are collections of themed, multidisciplinary activities. They may also complete fun elective adventures. Below, you’ll find the exact requirements for each Lion Cub Scout adventure. 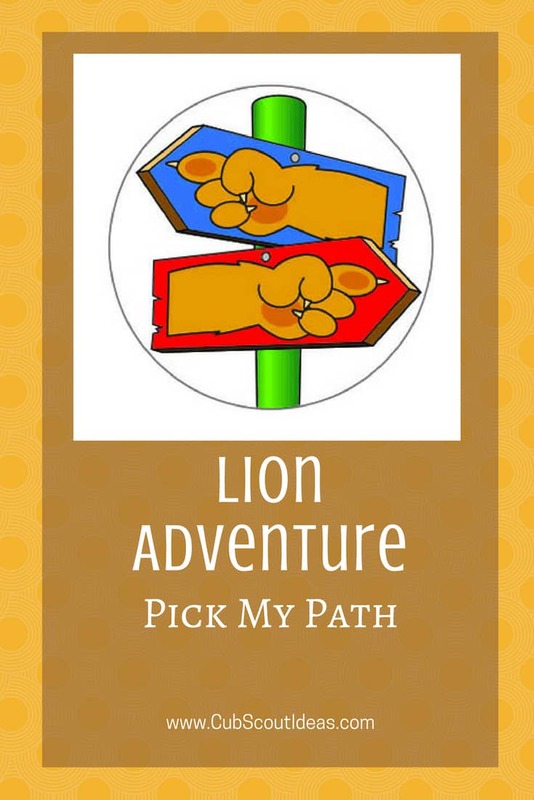 Your Cub Scout must complete all five of these adventures to earn his Lion badge. Repeat the Cub Scout motto. Tell what it means. Show teamwork and good sportsmanship by playing a game with your den. Learn and demonstrate three exercises you can do each day. Have Lions make a nutritious snack for the den. Understand the importance of rest. Participate as a den in Jungle Field Day. Learn the role of someone who provides a service to your community. Demonstrate you know what to do in an emergency. Choose two energy saving projects to practice in your home for two weeks. Participate in a Lion den family service project for others. Gather the outdoor items you need to have with you when you go on an outdoor adventure, and understand how they are used. Also understand and commit to practicing the buddy system. Learn what SAW (Stay, Answer, Whistle) means. Demonstrate what you can do to stay safe if you become separated from the group when you are outdoors. Demonstrate an understanding of respect for animals and nature when participating in a learning hike. Participate in a flag ceremony with your den. Explain what it means to be a good citizen. Explain what it means to be a leader. Make and use a Lion Scout bag and hanger for personal Scouting gear. Make a personal care checklist. Explain that choices have consequences. Perform a Good Turn for another person. Teach a game to another person. This requirement may be accomplished at home or at the outing. Use household materials to create a useful object. Participate in a game with your den. Participate in an obstacle course relay. Participate in a box derby race. Discuss with other Lions things that can be built and things that can be knocked down. Discuss with other Lions how they and their fellow Lions can be built up and knocked down, not just physically but also emotionally. Build structures using available materials. Play a game with rules; indicate an understanding of the rules and why it is important to follow the rules while playing the game. Choose a jungle animal that you would like to be; describe the animal and why you chose it. Participate in a parade with the other animals in your den. Communicate with other animals using your animal’s sounds, both as loudly as you can and as softly as you can. Visit with an individual who can demonstrate different ways to garden (outside, greenhouse, container, etc.) and the basic skills needed to garden. Learn where the food we eat comes from. Plant a small container garden.